Buy the 2015 Dodge Durango if you want a luxurious and comfortable SUV with many safety features. For 2015, the exterior now has some extra things to enhance appearance. The SUVs are more technologically-advanced because they now possess LED headlamps with 8.4-inch touchscreens, and Uconnect with vehicle engine information--all features for both the owner's and passengers' benefit. A Blu-Ray system keeps rear passengers satisfied. The vehicle will no doubt be a good buy for SUV seekers. The 3.6L Pentastar® V6 engine is the SUV's default engine, and it makes the SUV run beautifully. A 24.6-gallon tank for fuel permits the driver to go up to 600 miles highway without refueling, so they can keep on cruising. The SUV operates up to 25 mpg highway. The 5.7L HEMI® V8 engine, an additional option, is also good on gas at 23 mpg with its Fuel Saver Technology. The SUVs have automatic transmissions that have eight speeds available. The 2015 Dodge Durango has great towing capacity. A Uconnect® system permits for 3-D maps. Available Wi-Fi. The interior has seven comfortable cloth or quality leather seats, and a sound system that has elements to meet various needs. Heated windows warm occupants up when it's cold. LED headlamps and automatic high beams help the driver to the destination on the dark roads. There are many colors for the owner to select from to make their driving experience their own. There are 18 and 20-inch wheels to select from. 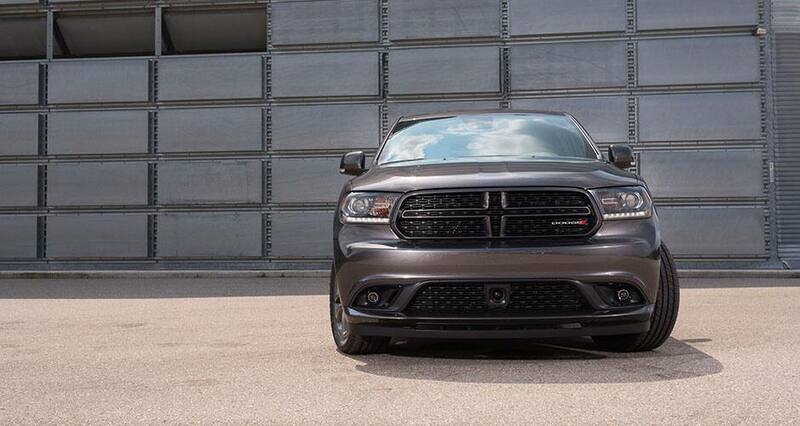 It is simple to be happy with the 2015 Dodge Durango's make-up. The 2015 Dodge Durango's safety and security elements will give you protection. Adaptive Cruise Control (ACC), which is available, makes out vehicles ahead, kicks in speed reduction, and if necessary causes the SUV to come to a complete stop without the driver acting. The ParkSense® Rear Park Assist System has a camera that shows what's behind the vehicle on a 8.4-inch touch screen to help the driver while reversing, but also alerts the driver of potential danger by continuing to reverse. If the above features seem appealing, then you may be very happy driving the 2015 Dodge Durango. Learn more about this model on the Official Dodge Durango Website.